When it’s hot outside we tend to want something light to eat. This delicious and healthy salad makes a wonderful light dish filled with nutrition that won’t weigh you down. It’s super quick to make which makes it a great pick anytime. 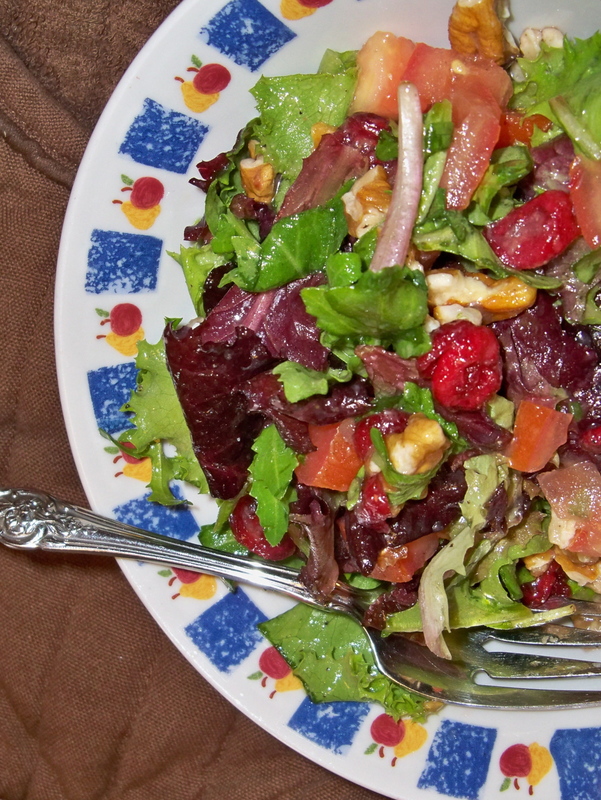 The nuts and fruit give the salad a nice rounded body. I love this salad when I am in a rush it never disappoints but always fills me up. In a large bowl take the field greens top with tomatoes, cranberries and walnuts. In a separate bowl add the agave, vinegar and water, mix well then add the dressing to the salad, toss and serve.